Dara Shikoh, Emperor Shah Jahan's son and brother of the much hated Aurangazeb, believed that the mystical traditions of both Hinduism and Islam spoke of the same truth. Unlike Aurangazeb, whose spiritual and religious views were fundamentalist, Dara Shikoh, who was a follower of the Qadiri order of Sufis and a disciple of Miyan Mir, devoted much of his time to the study of ancient Indian spirituality along with Islamic traditions and felt that the search for God was one all over the world and at all times. In his search for truth, Dara Shikoh tried to find the common ground between Upanishadic and Islamic spirituality believing that there was no need for spiritual traditions to live in isolation from each other and their mingling could produce a tradition that is healthier than either. As the eldest son of Shah Jahan, and as the emperor's and his wife Mumtaz Mahal's favorite, the Mughal empire should have gone to him. But that was not to be, mostly due to the ambitions of the younger Aurangazeb. There were continuous power struggles among the royal brothers and much of Dara's time was spent in these struggles and the battles that they lead to. In the middle of it all, though, he amazingly found time to pursue his quest for the common mystical heritage of Hinduism and Islam, particularly as taught by the Sufis. He believed that what is referred to in the Quran as Kitab al-Maknun [The Hidden Book] is actually the Upanishads. It was inspired by this belief that he spent whatever time he could find in translating the Upanishads into Persian, with the help of several pundits of Banaras. His translation of the Upanishads is appropriately called Sirr-i-Akbar, 'The Greatest Secret.' Before Sirr-i-Akbar he had written several other books, the most famous of which is Majma ul-Bahrain ['The Mingling of Two Oceans'], an independent work devoted to discovering the affinities between Vedantic and Sufi perceptions of the Ultimate Truth. However, the spiritual stand that Dara who hated the rigidity of religious fundamentalists took did not go well with Aurangazeb who had by then managed to come up in the struggle for the throne and had all the power of the empire firmly in his hands. Partly because of his fundamentalist faith and partly from political compulsions, he called for a council of nobles and clergy to decide the fate of Dara Shikoh - and the council promptly declared Dara Shikoh a threat to public peace and a traitor to Islam, exactly as Aurangazeb had desired. Dara was put to death on the night of August 30, 1659. 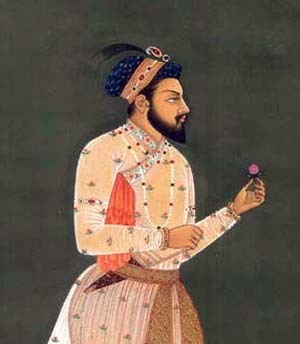 While it is certain that Indian history would have taken a different turn had Dara, who was in the middle of all literary, spiritual, and intellectual movements of his time, come into power instead of Aurangazeb, many people of the past shared the belief that the end of the Mughal empire in India came because of the curse of killing Dara Shikoh and the great Sufi sage and Persian poet Sarmad, whose disciple Dara Shikoh had become towards the end of his life. Dara Shikoh completed his translation of fifty-two Upanishads in 1657, two years before he was executed. Such was his devotion to the goal he had set for himself, discovering the common ground between Hindu and Islamic spiritual traditions, that in order to do the work, he learnt Sanskrit. Apart from the Upanishads, Dara had, with help from Sanskrit scholars, translated into Persian two other classics of Indian spirituality - the Bhagavad-Gita and the Yoga Vasishtha. The following is from Dara Shikoh's introduction to his work on the Upanishads, in which he refers to himself in the third person. "Whereas this unsolicitous fakir Muhammad Dara Shikoh in the year 1050 after Hijra [AD 1640] went to Kashmir" And whereas, he was impressed with a longing to behold the Gnostics of every sect, and to hear the lofty expressions of monotheism, and had cast his eyes upon many books of mysticism and had written a number of treatises thereon, and as the thirst of investigation for unity, which is a boundless ocean, became every moment increased, subtle doubts came into his mind for which he had no possibility of solution, except by the word of the Lord and the direction of the Infinite. "And whereas the holy Quran is mostly allegorical and at the present day persons thoroughly conversant with the subtleties thereof are very rare, he became desirous of bringing in view all the heavenly books, for the very words of God themselves are their own commentary; and what might be in one book compendious, in another might be found diffusive, and from the detail of one, the conciseness of the other might become comprehensible. He had, therefore, cast his eyes on the Book of Moses, the Gospels, the Psalms, and other scriptures but the explanation of monotheism in them also was compendious and enigmatical, and from the slovenly translations which selfish persons had made, their purport was not intelligible. "Thereafter he considered, as to why the discussion about monotheism is so conspicuous in India and why the Indian theologians and mystics of the ancient school do not disavow the Unity of God nor do they find any fault with the Unitarians, but their belief is perfect in this respect; on the other hand, the ignoramuses of the present age " the highwaymen in the path of God " who have established themselves for erudite and who, falling into the trances of polemics and molestation, and apostatizing through disavowal of the true proficient in God and monotheism, display resistance against all the words of Unitarianism, which are most evident from the glorious Quran and the authentic traditions of indubitable prophecy." "And the summum bonum of these four books, which contain all the secrets of the Path and the contemplative exercises of pure monotheism, are called the Upanekhats [Upanishads], and the people of that time have written commentaries with complete and diffusive interpretations thereon; and being still understood as the best part of their religious worship, they are always studied. And whereas this unsolicitous seeker after the Truth had in view the principle of the fundamental unity of the personality and not Arabic, Syriac, Hebrew, and Sanskrit languages, he wanted to make without any worldly motive, in a clear style, an exact and literal translation of the Upanekhats into Persian. For it is a treasure of monotheism and there are few thoroughly conversant with it even among the Indians. Thereby he also wanted to solve the mystery which underlies their efforts to conceal it from the Muslims. "And as at this period the city of Banaras, which is the centre of the sciences of this community, was in certain relations with this seeker of the Truth, he assembled together the pundits and the sannyasis, who were the most learned of their time and proficient in the Upanekhats in the year 1067 after Hijra; and thus every difficulty and every sublime topic which he had desired or thought and had looked for and not found, he obtained from the essences of the most ancient books, and without doubt or suspicion, these books are first of all heavenly books in point of time, and the source and the fountainhead of the ocean of unity, in conformity with the holy Quran. "Happy is he, who having abandoned the prejudices of vile selfishness, sincerely and with the grace of God, renouncing all partiality, shall study and comprehend this translation entitled The Greatest Secret [Sirr-i-Akbar], knowing it to be a translation of the words of God. He shall become imperishable, fearless, unsolicitous, and eternally liberated." Dara Shikoh's translation of the Upanishads into Persian was to play a very significant role in awakening the west to the wisdom of the Upanishads. Fourteen years after Dara Shikoh completed the translation, in 1671, Francis Bernier, a French traveler, took the translation to France. Interest in Indian philosophy was awakened in France. Later Victor Cousin, a French Philosopher of high repute, stated in words of high admiration that Vedanta, the philosophy of the Upanishads, is the highest philosophy that mankind has ever produced. The Upanishads and their philosophy soon became very popular in the intellectual circles all over the west. German scholars like Friedrich Von Schelling (1775-1854), Arthur Schopenhauer (1788-1860) and Paul Deussen (1854-1919) were fascinated by the Upanishads. Schelling's admiration for the 'Oupnekhats' led him to ask Max Mueller to translate them, for he ardently felt that the Upanishads deserved wide circulation in Germany and every member of the German intelligentsia need to know of them. Schopenhauer was among the greatest admirers of the Upanishads in the west. His magnum opus The World as Will and Idea strongly reflects the power influence of the Upanishads on him. He felt that no other thought of humanity ever came near the Upanishads in the depth of their wisdom and in the service it can provide mankind. 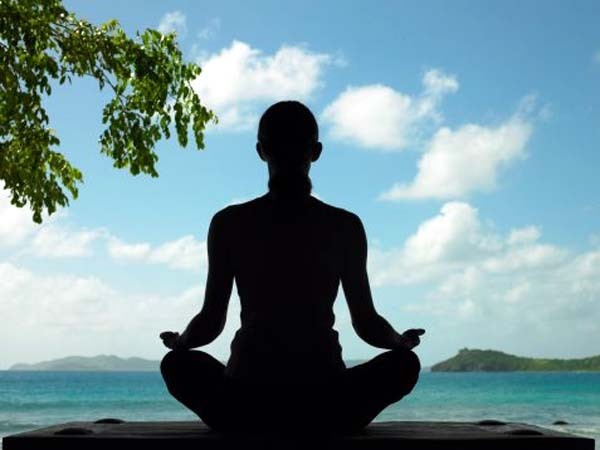 Speaking of the wisdom of the ancient sages of India as contained in the Upanishads, the German philosopher said that "it has been the solace of my life, it will be the solace of my death." Sir William Jones (1746-94), who founded the Asiatic Society in Calcutta in 1784 felt that "one correct version of any celebrated Hindu book would be of greater value than all the dissertations or essays that could be composed on the same subject." It is interesting to compare this with what Lord Macaulay had to say about eastern wisdom. The man who is credited with the founding of European education in India had expressed his view that if you put on one side of a balance a single rack of English literature and on the other all the literature of the east, English literature would weigh heavier. "I have traveled the length and breadth of India and I did not meet a single person who was a thief. I have seen such affluence in that country, such competent individuals and such talent that I do not think we will be able to conquer that land so long as we do not break its cultural and ethical backbone. I therefore state that we change the ancient education system and culture of India because if the inhabitants of India begin to think that the ideas and thoughts of foreigners, of Englishmen, are better than and superior to their own, then they will lose their culture and self-respect and they will become a dependent nation, which is what we need." Dara Shikoh sought for and found the common ground between Upanishadic and Islamic spirituality. But it was not for himself alone that he sought it, but for all, particularly for all Indians. We today require the truth that Dara Shikoh found as much as his times needed it, perhaps more. The information is amazing. Previously i simply knew that prince Dara managed to compile Upanishads, nothing more. Thanks for the article. I have almost no knowledge about Sanskrit, Still I am very much interested in Upanishads. A spiritual Master, listening my incapability he blessed me and said - ' you will understand , but do not ask more. If you are interested for sadhana, you will understand or some body, some situation, some experience may lead to the core of the teaching of Upanishad to enhance your Sadhana." He has left his body. I am not a realized man. Sometimes his blessing works wonderfully, but Mostly i fail to keep up the spirit. I expect on line guidance if I want to understand a particular portion of Upanishad. Amazing!!!! so many innformations about Upanisads, Darashikoh, his work on its translation and other European thinkers. Being a researcher on Upanisadic Philosophy, this is helpful for me.. Please in the interest of history be accurate when you quote. Macaulay's statement is apocryphal - its language too modern, its tone too obviously arrogant. Macaulay in other quotes says quite the opposite. He did not have much use or respect for Indian ideas, literature and history and felt that by making brown sahibs of us all, the English could rule India.Also he was not in Britain, let alone in the British jParliament on the date you have mentioned. the French translation of the Upanishads. eye opening. there are sane muslims in this world but try to seek truth. This is a very informative article and adds a great deal to my own information about Dara Shikoh. Now in my seventies, I have been a student of Vedas and Upanishads from the age of 22 and find a great deal of similarity between the views expressed by Dara Shikoh and those by European thinkers.